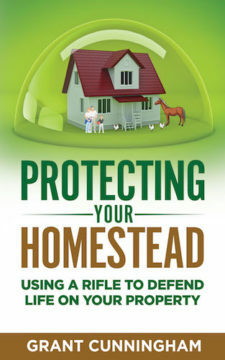 Today I’m proud to announce my latest book, one which I’ve wanted to write for some time — Protecting Your Homestead: Using a Rifle to Defend Life on Your Property! AUG, bullpups, carbines, context, realistic, What's New? Hey Buddy!, I found this information for you: "Announcing my new book: “Protecting Your Homestead”". Here is the website link: http://www.grantcunningham.com/2018/04/announcing-my-new-book-protecting-your-homestead/. Thank you.